No matter what generation you grew up in, everyone’s always looking for easy ways to lose weight. There’s no end to the supplements, diet pills, and other products on the market that promise quick ways to drop the pounds. The U.S. weight loss industry is worth $66 billion, according to market research, and it shows no signs of slowing down as the population gets more sedentary thanks to technology and people search for weight loss miracles. 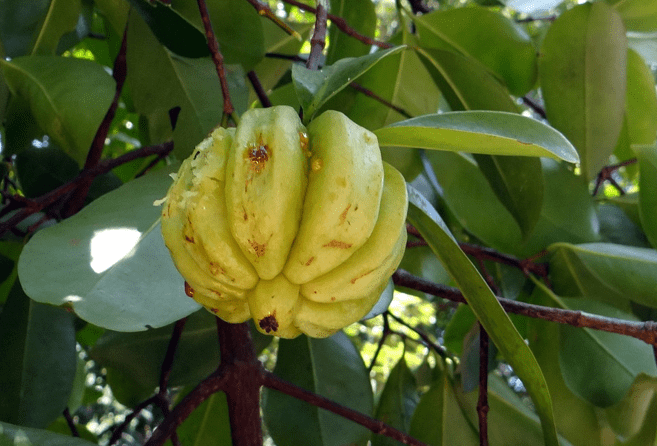 One of the popular supplements on the market is garcinia cambogia. You’ll find garcinia cambogia weight loss products on the market in pill and tablet form, as an extract, and also infused into energy or health drinks. So, what is this supplement and is garcinia cambogia good for weight loss? We’ve researched the world of this weight loss and diet supplement to bring you the truth about garcinia cambogia weight loss claims. In this AdvisoryHQ News review, we’ll take a look at what it is and list some of the best garcinia cambogia for weight loss products. You’ll also hear from garcinia cambogia weight loss reviews to find out whether this product really works or if it’s just another false promise. So, if you’ve ever wondered whether buying weight loss pills of garcinia cambogia would help, read on to learn more about this diet supplement and the most effective garcinia cambogia products. In order to answer the question, “Does garcinia cambogia work for weight loss?” you first need to know what it is and how it works. It’s a plant that’s native to India and Southeast Asia and looks somewhat like a small green or yellow unpeeled orange. The rind of the fruit has been used for preserving and flavoring food for years. So how does garcinia cambogia help with weight loss? The secret is a chemical contained in the rind called hydroxycitric acid (HCA). It’s been studied for the ability to suppress appetite in addition to helping intestinal problems and other conditions. Another garcinia weight loss benefit that’s been promoted is the ability of HCA to lower triglyceride levels, a type of fat in the blood that can increase chances for heart disease. Other positive garcinia cambogia weight loss results touted are the ability of HCA to block citrate lyase, which is an enzyme used to make fat, and an increase in serotonin, which is linked to a feeling of happiness and well-being. Are There Garcinia Cambogia Weight Loss Results Studies? As with many diet supplements out there, finding hard proof in the form of clinical studies can be difficult, but there have been several for garcinia. According to the National Center for Complementary and Integrative Health (NCCIH), while garcinia weight loss studies have been done, there aren’t a lot of recent or conclusive ones. They do however note some interesting results. A small study was performed with overweight women for 60 days. Some participants were given garcinia cambogia extract for weight loss and others were given a placebo (with no garcinia in it). But don’t lose all hope, because there are multiple studies ongoing and others that have been done showing some promising results when it comes to garcinia cambogia and weight loss. Are Weight Loss Garcinia Cambogia Pills Safe? Whether or not you lose weight, you definitely don’t want to take something that’s not going to be good for your health. Is garcinia cambogia good for weight loss and safe to take? Studies have concluded that garcinia cambogia weight loss pills and extracts are generally safe for use and not harmful. 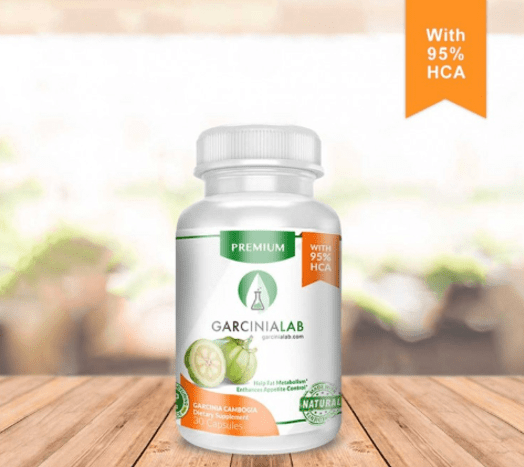 What’s the Safe Garcinia Cambogia Dosage for Weight Loss? While the garcinia cambogia dosage for weight loss will vary according to the brand of extracts or weight loss pills of garcinia cambogia you buy, there is a fairly high dose that’s been noted as safe. A dose of up to 2800 mg per day did not produce adverse effects in participants according to participant results in 17 clinical studies that involved 873 people. Now that you know more about garcinia cambogia and weight loss, let’s take a look at four of the popular garcinia weight loss products on the market. Which Companies Make the Best Garcinia Cambogia for Weight Loss? If you’re interested in trying garcinia weight loss products, you have a lot of different brands and supplement forms to choose from. There are garcinia cambogia weight loss pills and garcinia cambogia extract for weight loss used in teas, drinks, and other products. What’s the most effective garcinia cambogia product? It varies of course, just like the results of the studies. We’ll include several of the popular garcinia tablets for weight loss below. Then, we’ll take a look at some garcinia cambogia weight loss reviews and ratings for them to get a better idea which products people like best. If you feel good about the answer to, “Does garcinia cambogia work for weight loss?” and want to try some of these supplements. Here are some options to find the most effective garcinia cambogia product for you. The first three products listed below are mentioned in the report by NCBI as having performed a clinical trial of their garcinia cambogia product. Super Citrimax®: A patented product by InterHealth (now part of Lonza) that contains 60% HCA water extract. These garcinia weight loss pills can be found at GNC and Amazon. 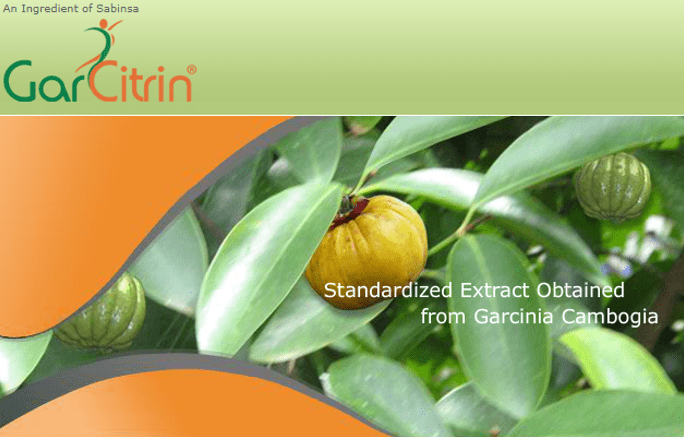 GarCitrin®: An award-winning brand by Sabinsa that provides garcinia tablets for weight loss that contain 50% HCA extract. If you want to try them to find out if garcinia cambogia is a good solution for weight loss, you can get them at Walmart and on Amazon. Garcinia 1000™: This garcinia cambogia extract weight loss supplement is from health and wellness company Source Naturals. It contains 50% HCA extract from garcinia. You can find it at Sprouts Farmers Market and Vitacost. If you’re looking for the best product to buy when trying to answer for yourself, “Does garcinia cambogia help with weight loss?”, here are a few product considerations to keep in mind. We’ve read some clinical study results, so now let’s hear from customers of the above mentioned best garcinia cambogia for weight loss supplement brands. We’ll first go through an overview of ratings that add to answering the question, “Does garcinia cambogia work for weight loss,” then we’ll see a few review excerpts. In a positive garcinia weight loss review for Garcinia 1000™, the reviewer said they could tell this product worked because when they ran out and substituted a different brand, the weight started coming back on. A pleased Super Citrimax® customer said they found that these garcinia cambogia weight loss pills made a big difference. They didn’t have as many carb cravings, which helped with their weight loss. They also felt good while taking the supplement. After taking Garcinia Cambogia Premium for 5 months and losing 37 pounds, this reviewer gave the product a 5-star review. They noted the importance of taking the supplement with water as directed, prior to two meals of the day. A reviewer of Garcinia 1000™ said they were not happy at all and would warn others not to use the product. After taking these garcinia tablets for weight loss, they experienced cramping and bloating (they did note that they didn’t take the water intake directed on the bottle). A person that tried Super Citrimax® said it only worked to curb cravings the first day, after that they felt nothing different. They thought garcinia weight loss tablets were a waste of money. Another unhappy reviewer took Garcinia Cambogia Premium and was very excited to try a garcinia cambogia weight loss supplement. But they ended up disappointed when the product didn’t help them lose weight at all. While it was more difficult to find individual reviews for the GarCitrin® product on Amazon, we did find a mention of the company behind this garcinia weight loss product, Sabinsa Corp., in Whole Foods Magazine. The company also has zero complaints at the Better Business Bureau. Read More: ᐅ Keranique Review | Is it a Scam or One of the Best Hair Regrowth Kits? Does garcinia cambogia help with weight loss? The definitive answer is still being studied. While some trials have shown that the HCA enzyme contained in the rind of the garcinia cambogia fruit does help curb appetite and reduce fat, other studies have had inconclusive results with no weight loss experienced. Reviews of garcinia weight loss pills have also been inconclusive. Some say the supplement works great, while others see no effect on their weight and complain about cramps. The good news is that garcinia cambogia is safe for human consumption, that’s one thing all the studies agreed upon. Just be sure to stay under the recommended 2800 mg per day garcinia cambogia dosage for weight loss. Since garcinia cambogia is a natural extract, you don’t have to worry about serious adverse effects. But you will want to take it with the recommended amount of water given on the supplement package for the best results. There are a lot of weight loss supplements out there making promises, and garcinia cambogia does appear to have some solid science behind it. How good is it and does garcinia cambogia work for weight loss? The jury is still out on that.